Junior group ski lessons in Megeve, St Gervais, & Les Contamines operate through the main school holidays, with 3hrs instruction each day over 5 days. And start from either Megeve or St Gervais being the most popular. We will schedule more groups according to demand and with flexible scheduling from 3 – 5 days in duration. So if you cant see a group running on dates you are looking at, just let us know. Ages range from 6 years and upwards (We cannot accommodate under age 6 in group ski lessons without prior appointment). Blue Group: Skiers will have experienced blue runs, but need more development to ski them well. Their skis are in a plough through the arc of the turn, and parallel at the end or traverse. Those who have skied with Freedom Snowports, or other British ski schools before. May have gained UK snow life awards from 3 to 5 star in previous lessons. French ski school equivalent lesson awards are ‘Flocon’ to 1 star. Awards are not required to attend. Red Group: These groups tend to be regular visitors to us, and can ski the whole mountain keeping parallel skis through the turns. Those who have skied with Freedom Snowports, or other British ski schools before. May have gained UK snow life awards from 3 to 5 star in previous lessons. French ski school equivalent lesson awards are 2 to 3 star. Awards are not required to attend. Academy – For junior skiers that have progressed through our junior groups. Achieving the top awards of 8 or 9 star awards. Our Academy groups work on the continued development of specialized skills that diversify our sport. These skills allow us to travel further, safer, and over more varied terrain. Which covers the main strands of skiing. Piste Performance, Steeps, Off Piste, Bumps, and Freestyle. 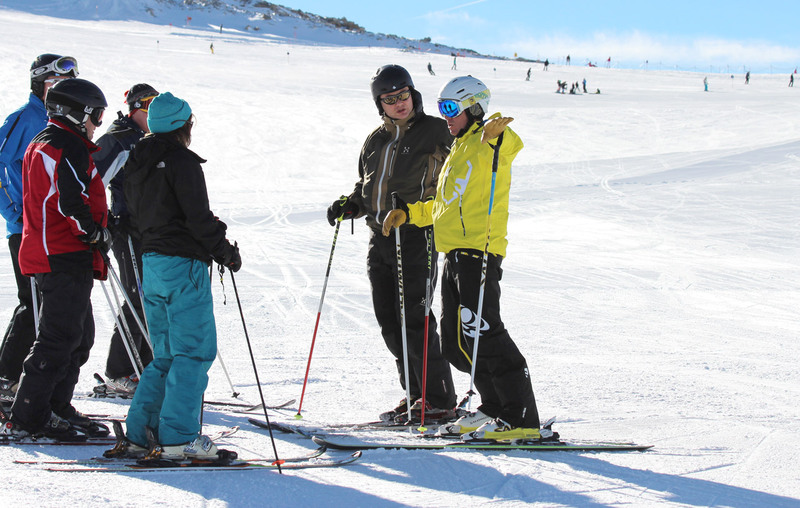 Skiers will develop mountain awareness and an understanding of safety procedures. Becoming aware of the use of safety equipment. All of which creates a well rounded performer in modern skiing. This respect for the environment that we ski in, and the skills we use is so often overlooked. But it is the fundamental piece that keeps us safely enjoying the mountains. To attend our academy sessions, skiers must have previously attended our junior red group or a private lessons with us to be sure of suitable level. Adult ski coaching groups in Megeve, St Gervais, and Les Contamines run according to demand, so if you can’t see a session scheduled. Let us know that you’re interested, so that we can get one scheduled.